Here is a complete blip.tv video of the 10/12/10 meeting of Northampton’s Committee on Elections, Rules, Ordinances, Orders and Claims. 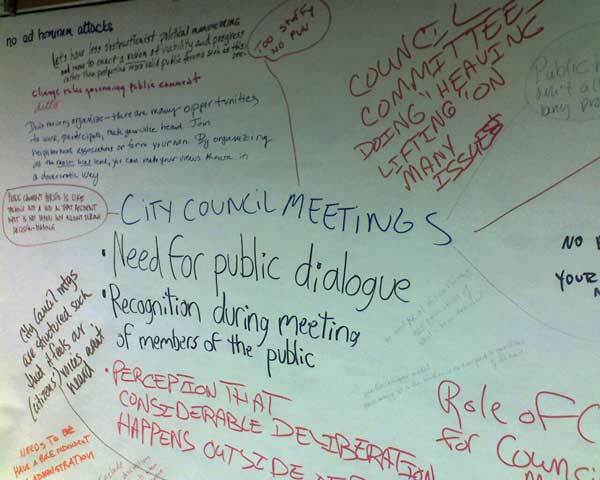 The latter part of the meeting (starting at 1:04:30 on the video) includes a discussion of the public comment periods at City Council meetings and “Concerns Expressed about City Council meetings running past 11:00 PM and possible solutions (e.g. meeting start time, consent calendar, etc. )” This recording is 1 hour 47 minutes long and was made by Ken Mitchell. 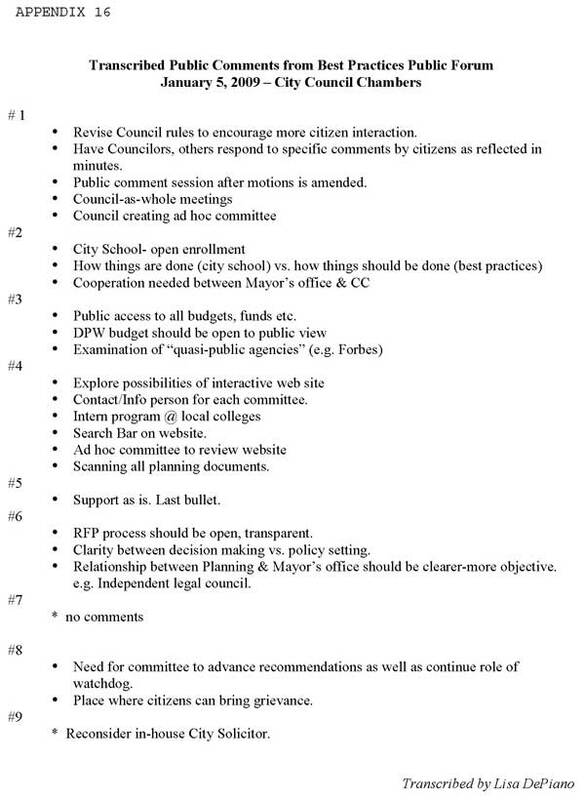 Here is a blip.tv excerpt from the meeting where the commitee and Ken Mitchell discuss where and when public comment periods should take place and how much time should be alotted to them. This excerpt is 25 minutes long. The Best Practices presentation and discussion takes place during 1:02:07-1:18:50 on the video. 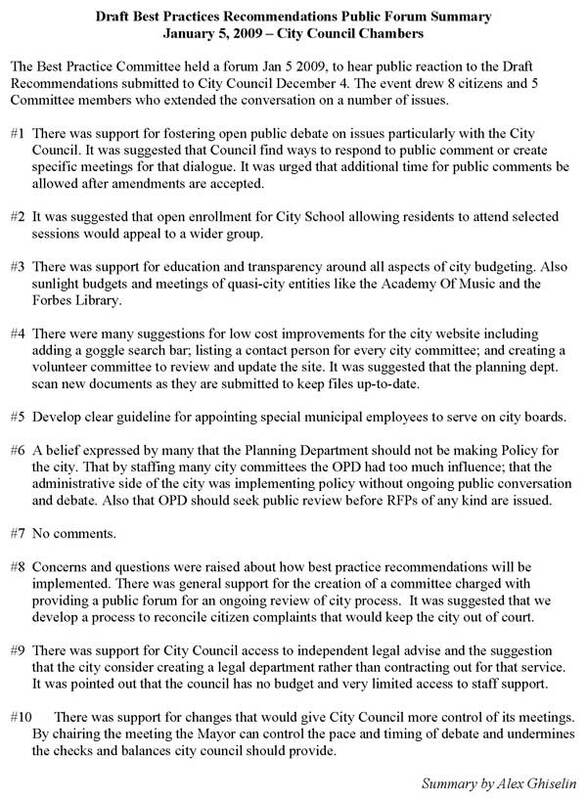 Here are the first two pages from Appendix 16, which contains comments gathered during the 90-day public review (PDF, 353KB).